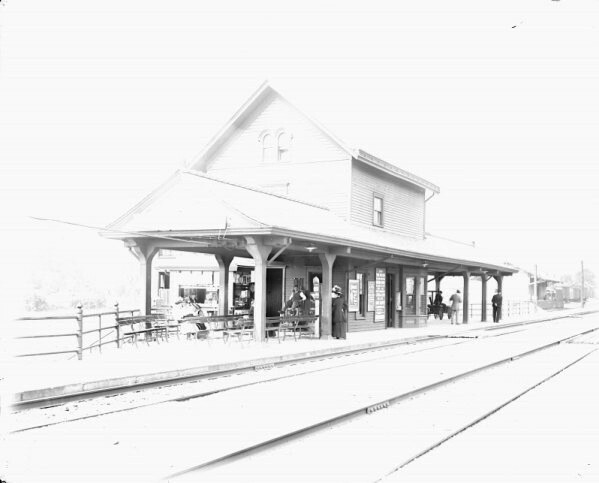 The story of the Montclair and Greenwood Lake Railroad began when the Newark and Bloomfield Railroad was completed to Bloomfield in December 1855 and to West Bloomfield (this is the southern portion of present day Montclair) in 1856. 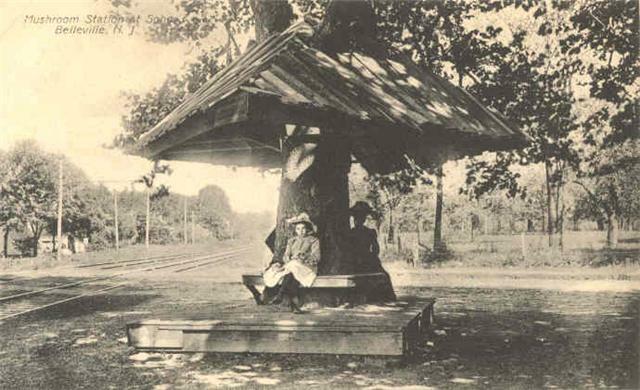 Commuters living in what would eventually become the northern section of Montclair and the town of Upper Montclair, eyed the line and suggested that it be extended to them. But the Newark and Bloomfield was in no position to offer anyone expanded service. Its entire passenger business, consisting of one coach and one locomotive, earned the handsome sum of $300 in the first six months of operation. At the same time, the partners of Cooper & Hewitt were experiencing their own transportation problems. They had purchased the ironworks and mines in Ringwood but did not have a satisfactory route to bring iron out of the Ramapo Mountains. They planned a railroad from Ringwood to Pompton (this is present day Pompton Lakes) where ore or pig iron could be transferred to canal boats. Although this railroad was not built, the Morris Canal's Pompton Feeder Canal was upgraded. After a long wagon trip south from Ringwood, ore and pig iron were transferred to canal boats for transport to Cooper-Hewitt's Trenton Ironworks. 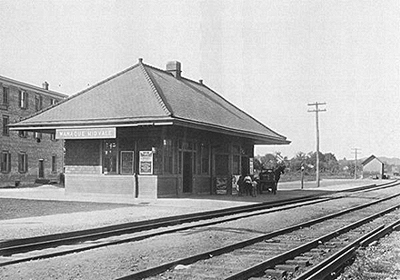 Still without a railroad in 1868, West Bloomfield broke away from Bloomfield, incorporated itself as the town of Montclair, and started its own railroad. The Montclair Railroad reached south and eastward to a connection with the Erie and shared trackage to Jersey City. 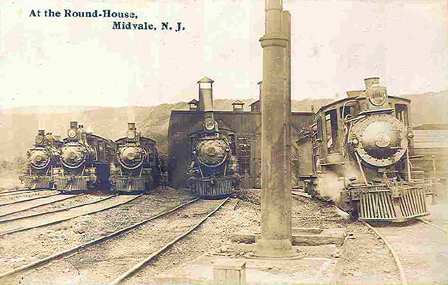 Despite their close proximity in the town of Montclair, the Newark and Bloomfield Railroad and the Montclair Railroad were not physically connected until more than a century later when both lines were united under the ownership of New Jersey Transit. Construction contracts were signed with the New York, Oswego and Midland Railroad. As part of the agreement they also leased the Montclair Railroad so that they would operate the completed line. It soon was obvious that the Montclair Railroad was not a strictly a local line constructed to give the town of Montclair its own railroad. It was part of a grand scheme to have a line from Jersey City, through Montclair, to the eastern shore of Greenwood Lake, from thence into the heart of New York State and finally to the lake port of Oswego, New York. It was good plan on paper with only two problems. First, while the lake could easily be reached from the south via the Wanaque River, a prohibitively expensive tunnel would be required to reach it from the north. Second, funding was insufficient to build the Montclair Railroad. Fortunately, acquiring Cornelius Wortendyke's New Jersey Western Railroad would solve both problems. The New York, Oswego and Midland Railroad bought it, renamed it the New Jersey Midland Railroad, and used it to reach Oswego. The final route ran into western New Jersey and avoided the need for both the tunnel and the Montclair Railroad. Although still owned by New York Oswego and Midland, the Montclair Railroad was now no longer part of its grand schemes and so was built directly northwards in the Wanaque River valley to the rich iron mines of Ringwood and the popular excursion destination of Greenwood Lake. The Panic of 1873 sent the railroad into bankruptcy. What was the Montclair Railroad went in an 1875 Sheriff's sale to Abram S. Hewitt and Marcus L. Ward. The line was renamed the Montclair and Greenwood Lake Railroad. Until 1878 it would be in receivership, undergo an humiliating series of reorganizations, have its steamboats on Greenwood Lake seized by the Orange County Sheriff, close a branch line, endure accusations of missing funds, and finally emerge firmly in the control of Hewitt. The Hewitt era lasted from 1878 to 1898. During the summer of 1878 the railroad was undergoing another of its periodic reorganization. Hewitt arranged that a number of bondholders would sell their securities to the Erie. This guaranteed that the Erie would control the Montclair and Greenwood Lake whatever the outcome of the reorganization. 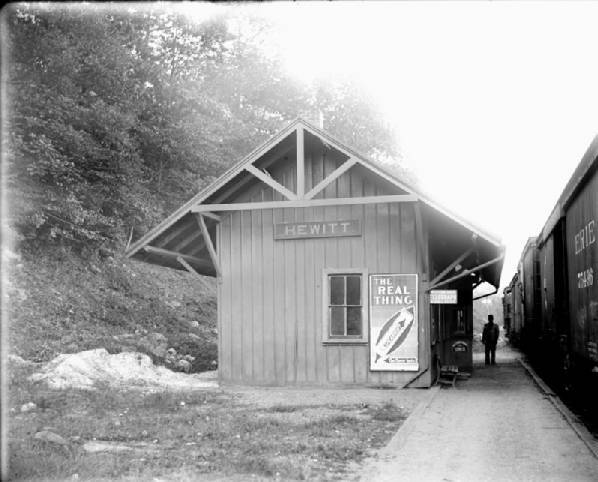 While Hewitt was in control of the railroad, in 1882 the first steps to an eventual merger were made. The Montclair and Greenwood Lake began using Erie's engine facilities as well as its Hudson River terminal although the line did not officially became part of the Erie until Hewitt sold it in 1898. Hewitt had bought the railroad to keep iron ore flowing south from the Ringwood Mines. By the mid-1890's the nearby iron furnaces had ceased operations and unrefined ore for the more distant furnaces could not be transported with reasonable freight rates. Shortly after the sale however, rising iron prices soon allowed the mines to reopen and they were not closed again until 1931. Over the next thirty years, several unsuccessful attempts were made restart iron mining in Ringwood until the mines were closed permanently in 1961. The railroad had two suburban branch lines, one to the Oranges and Llewellyn Park, the other to Cedar Grove and Essex Fells. The Caldwell Branch was built between 1890 and 1892. The New York Suburban Land Company teamed up with the First Presbyterian Church of Caldwell to charter and finance the Caldwell Railroad. 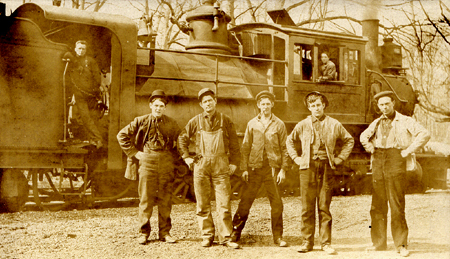 The railroad's purpose was to promote development in Caldwell and Essex Fells. It was taken over by the Montclair and Greenwood Lake in 1893, and in turn the NY&GL was taken over by the Erie in 1898. In 1904 the Morristown and Erie established a connection at Essex Fells. Trains could run all the way from Morristown to Jersey City. There was also once a branch (actually more of a long siding) off the Caldwell Branch to the site of the dam for construction of the Cedar Grove Reservoir, long since removed, but still visible. 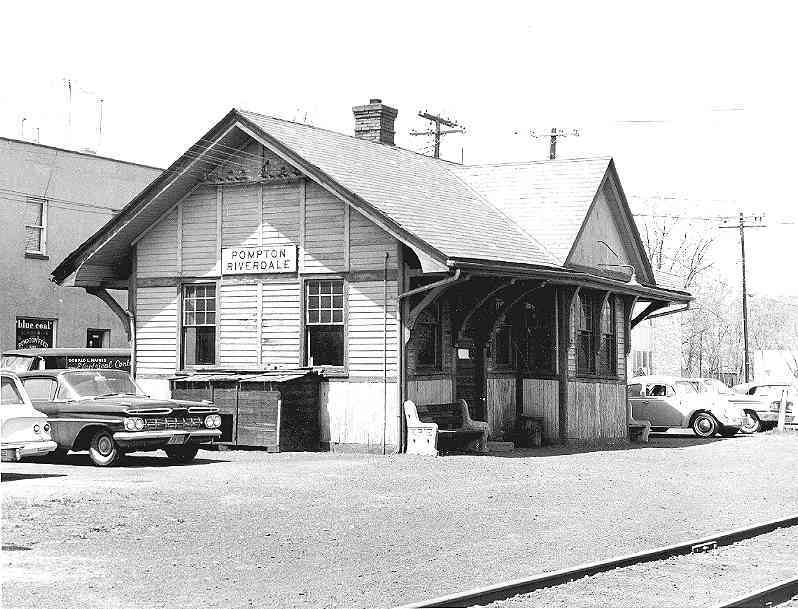 Connecting passenger service to the Morristown and Erie RR in Essex Fells stopped in 1928, and commuter traffic stopped in 1966, but freight service lasted until 1976 with the establishment of Conrail. The Orange Branch ran from West Orange station (Llewellyn) to the Forrest Hill station on the "main line" of the NY&GL. Constructed in1868, it saw it's last commuter train in 1955. The Orange Branch was home to some very large and well-known industries. Some of the more notable ones were General Electric, Westinghouse, General Motors, Canada Dry, Tiffany & Co., and Thomas A. Edison. Today, the remaining trackage is operated by New Jersey Transit as an extension of the Newark Subway, and sees occasional local switching to the Hartz plant by Norfolk Southern. After being sold to the Erie, the railroad became the railroad's Greenwood Lake Branch, and at least on the northern end, its story is one of gradually shrinking trackage and reduced service. Greenwood Lake became accessible by car, and the last train to the lake ran in 1935. After the 1920's, the iron mines went through cycles of abandonment and rebuilding. This reduced the importance of the Ringwood Branch and the construction of the Wanaque Reservoir insured no other industries would arise to take the place of the iron mines. There was however for many years a reliable and busy commuter traffic between Jersey City, the branch lines, Montclair, and Midvale. The runs north of Mountain View were losing money in the early to mid 1950 s and permission to abandon this service was sought. Years later with the creation of the Erie Lackawanna in 1960, the Greenwood Lake Branch became the eastern part of the Boonton Line at the crossing of the old Lackawanna line in Mountain View, when through service on the Boonton Line was abandoned through Paterson. 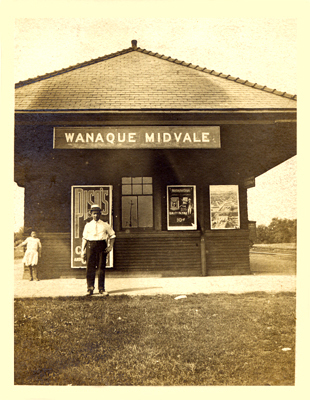 With a yard to handle the commuter traffic, Wanaque/Midvale became the northern terminus until 1966, when service was terminated by the Erie Lackawanna. In 1982, Conrail operated the last freight trains north of Mountain View. Today the Susquehanna operates some trackage near Riverdale and there are hopes that the Mountain View-Riverdale section will be reopened by New Jersey Transit. New Jersey Transit has completed a connection in 2003 between the ex-Lackawanna Montclair Branch and the NY&GL in Montclair, so that electrified trains can run from Great Notch all the way to Penn Station, New York. East of Montclair however, the commuter line has been closed and all Hoboken bound trains travel via Newark. Paul Tupaczewski, Railroad Avenue Enterprises, Frank's Photography Site, Mitchazenia/List of stations on the New York & Greenwood Lake Line, Tom Nemeth and Syracuse University Digital Library. 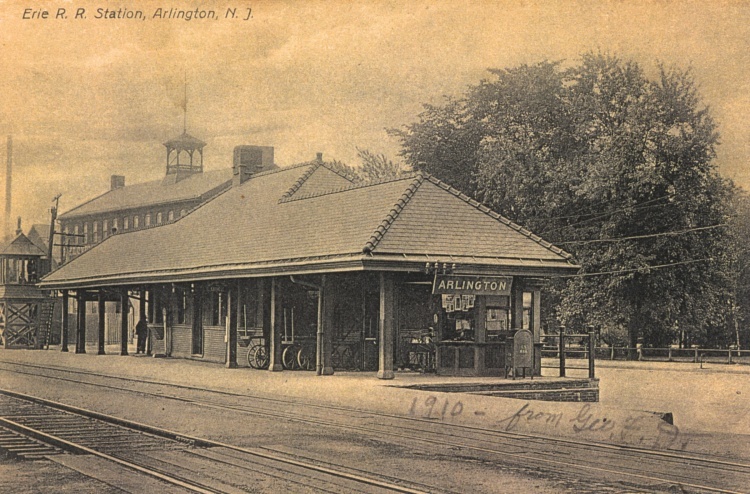 West Arlington Station was the second of two stations in the Arlington district of Kearny, located at North Midland Avenue. 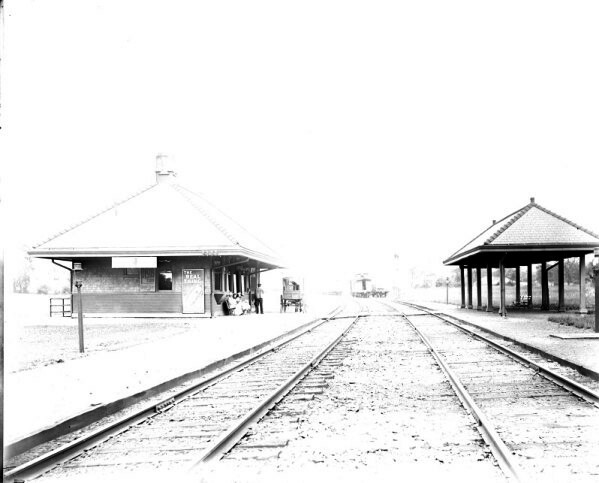 West Arlington station had an irregular Type IV station constructed in 1906. 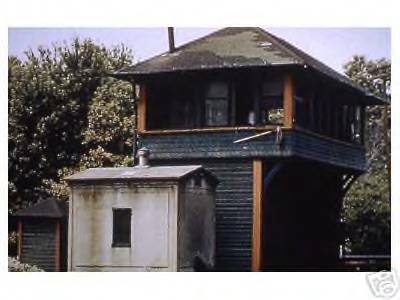 Besides being a station depot, West Arlington had a two-story frame signal tower, using dimensions of 13' x 31', designated WR. 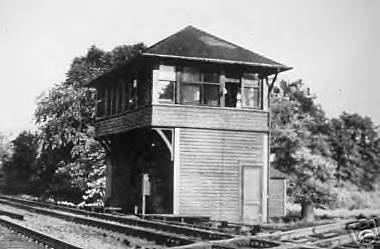 The tower's purpose, using a 16-level mechanical interlocking, built in 1914 to control the nearby swing bridge over the Passaic River at milepost 7.44. 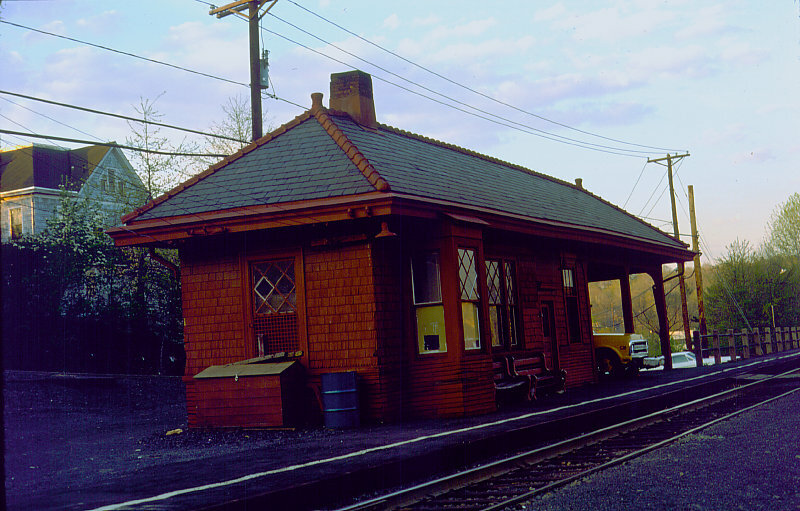 The station at West Arlington was closed in 1966 (already a flag stop at that point), with a final Caldwell Branch train to Essex Fells. The building remained though as WR Tower, which also had the job of getting trains from the New York & Greenwood Lake main to the Orange Branch, a job once served by OJ Tower in Forest Hill, Newark. The station building burned down during the late 1970s and the alignment, along with the bridge have since been abandoned by New Jersey Transit Rail Operations. The photo shows a 1400 series Geep pulling some Boonton Line coaches eastbound through "WR." Rowe Street Station was also known as Orchard Street Station. 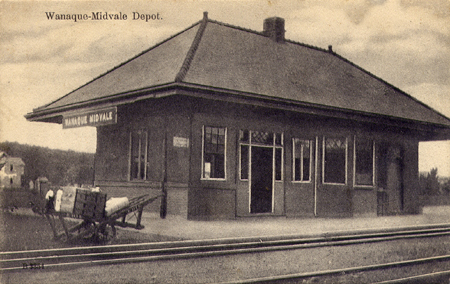 It had a two platform, two track station, supplied with a one-story brick station. Service was discontinued to Rowe Street Station (along with Benson Street in Glen Ridge and Arlington in Kearny) in 2002 when the Montclair Connection was opened. The Walnut Street Station Built in 1873 by the Montclair Railway, the station was the Erie Railroad's main station in Montclair. In 1868, some influential citizens in West Bloomfield such as Julius Pratt persuaded the post office to change the name to Montclair, which is French for "clear mountain." 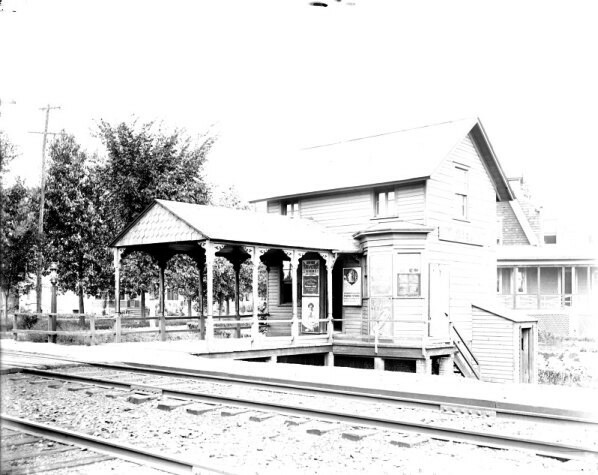 Mr. Pratt completed the New York and Greenwood Lake Railway in 1873 with five stations in Montclair. 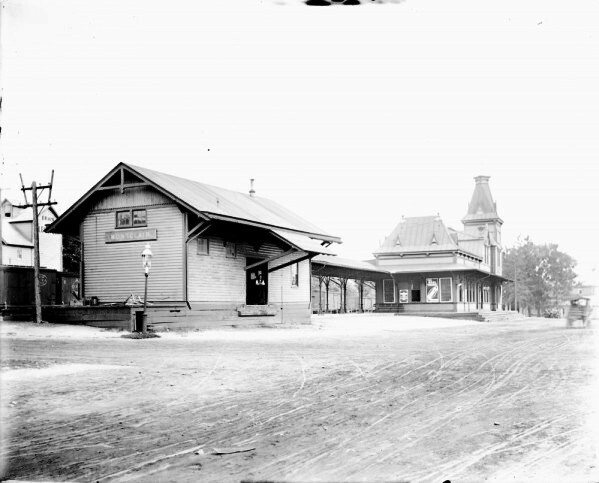 The population of the community grew quickly because businessmen from New York started moving to Montclair with their families which helped the railroad. The station was formerly known as Erie Plaza. It is located at the corner of Walnut Street and Depot Square, and is in the Walnut street business district. In 1953, the current building was erected and the old station was demolished. In 1973 a freight train derailed at the station. 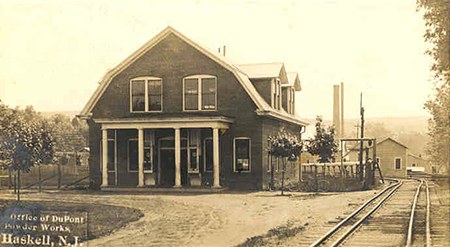 The Montclair Connection, which merged the Montclair Branch and the Boonton Line, is a few streets after the station. The Glen Ridge Station (Benson Street) was constructed in 1883 in a unique English Tudor design with stucco facades and a slate roof. Benson Street had a two platform, two track station with the gas lights on the side of tracks. Service was discontinued to Benson Street Station (along with Rowe Street in Bloomfield and Arlington in Kearny) on September 20, 2002 when the Montclair Connection was opened. Train service to Glen Ridge is serviced to the south at Glen Ridge station in the downtown commercial district. 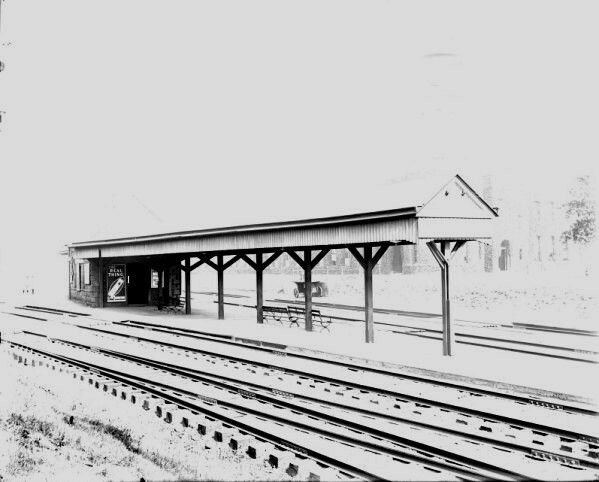 The Watchung Avenue Station was built in 1904 out of stone, weatherboard, shingle, slate, terra cotta, and wood for a cost of $4,700 to replace an earlier station called Park Street Station. It is on the National Register of Historic Places. The Upper Montclair The original station was a small building, built by the Montclair Railway when the Upper Montclair area was still rural. It was acquired by the Erie Railroad and rebuilt in 1892. 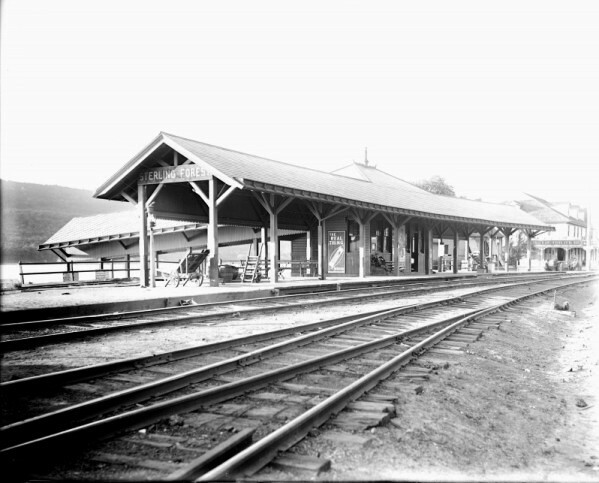 The 1892 station building was damaged in a 2006 fire, but the platform is still used. It is being rebuilt (in 2009), using the remaining Porte-cochere. The new building will mimick the original design, but larger. The station building will have a restaurant inside, just like before. While the station is being rebuilt, a tent in being used as a shelter on the eastbound platform. On the westbound platform there was a shelter, but now it is gone except for its columns. A former freight house is across Lorraine Avenue form the station. Great Notch Train service at Great Notch originated with the introduction of the Caldwell Railway, a service that went from the community of Caldwell, New Jersey to the New York & Greenwood Lake Railway. Twelve trains a day serviced Caldwell, Verona and Overbrook Hospital. The station at Great Notch was deemed Caldwell Junction, inferring the junction between the two railways. The Great Notch station depot was built in 1905 for the New York & Greenwood Lake Railway, a subsidiary of the Erie Railroad. The station was built as a green-red "type five" frame structure. 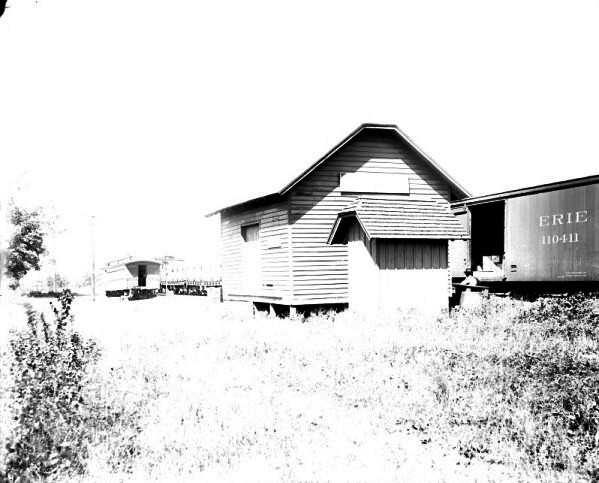 While the main building was 12' x 28' x 18' in size, the station also included an old boxcar used as a tool house. 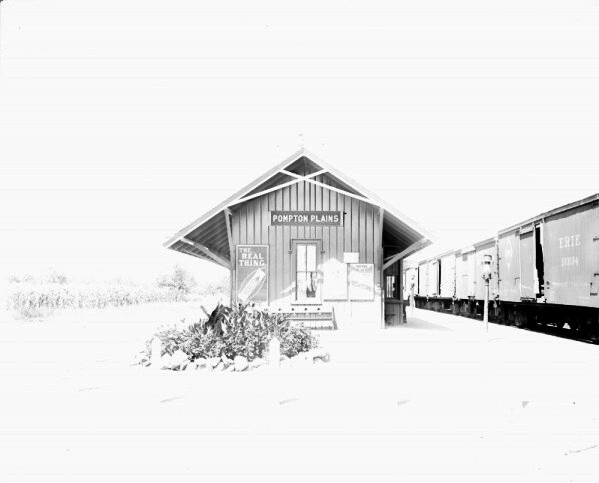 The box car was only 12' x 45' and served the station for several decades. 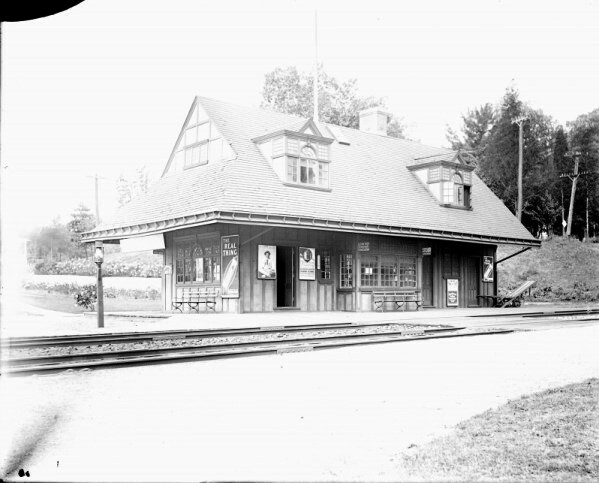 The station was just east of the "GA" signal tower, which was built in 1900 to serve the junction of the Greenwood Lake Railway and its Caldwell Branch, heading eastward for the communities of Cedar Grove, Verona, Caldwell and Essex Fells. The station also served a local yard for train storage for the branch line via a wye. 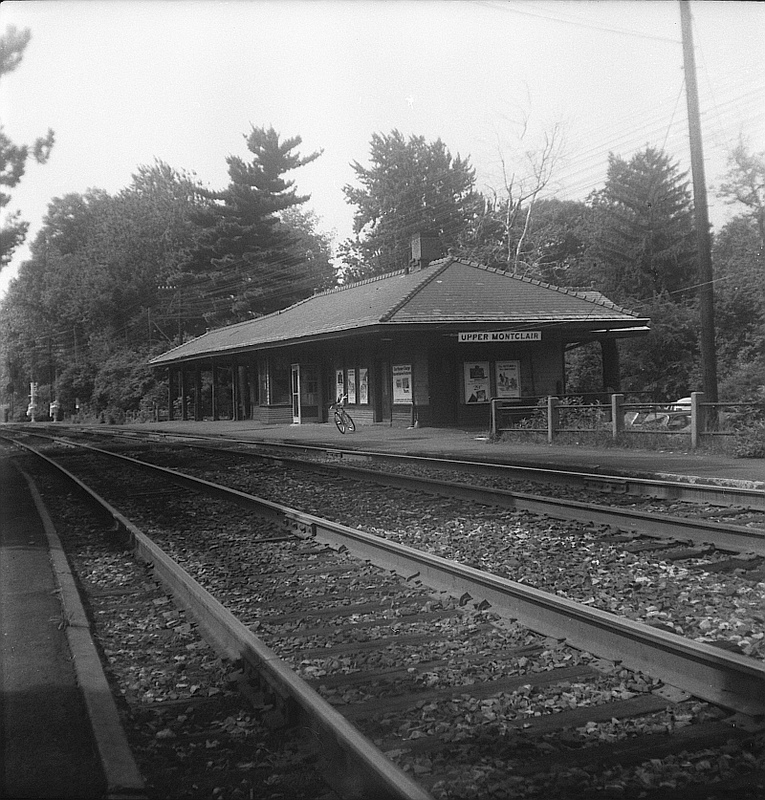 At Essex Fells, connections could be made for train service to Morristown via the Morristown and Erie Railroad. The Caldwell Railroad diverged from the current New Jersey Transit line about 1/4 mile west of the New Jersey Transit Great Notch station and followed its own route to Caldwell. The station at Great Notch was more than just a building for people at the railroad. The station had a large water tower next to GA Signal and a potbelly stove. The station was tended by a husband and wife combination, serving the locals their daily newspapers and their mail. Great Notch did not receive mail delivery until the mid-1950s. 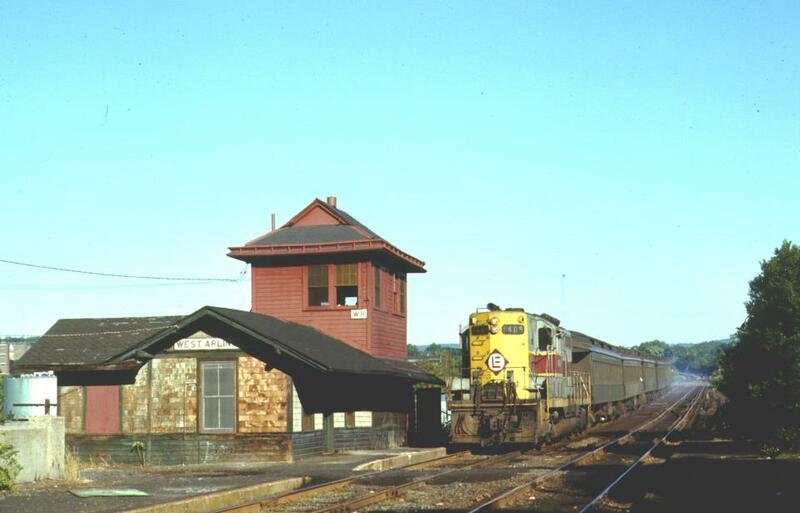 By the early 1970s, the Great Notch station, which was falling into disrepair received a new paint job, changed from the red-green colors for the Erie to a red Erie Railroad paint scheme under Dereco. The abandoned tool shed made out of the old wooden boxcar was also removed. Due to the removal of the tool boxcar, the propane tanks that heated the station building were also made visible. 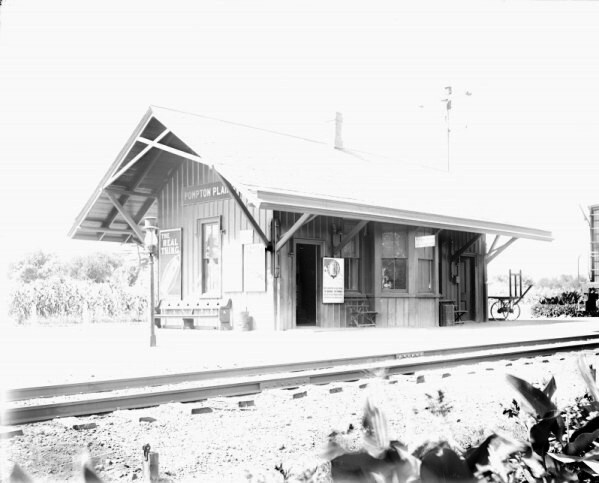 After the ending of the Erie-Lackawanna Railroad in 1976, the Great Notch station laid abandoned. 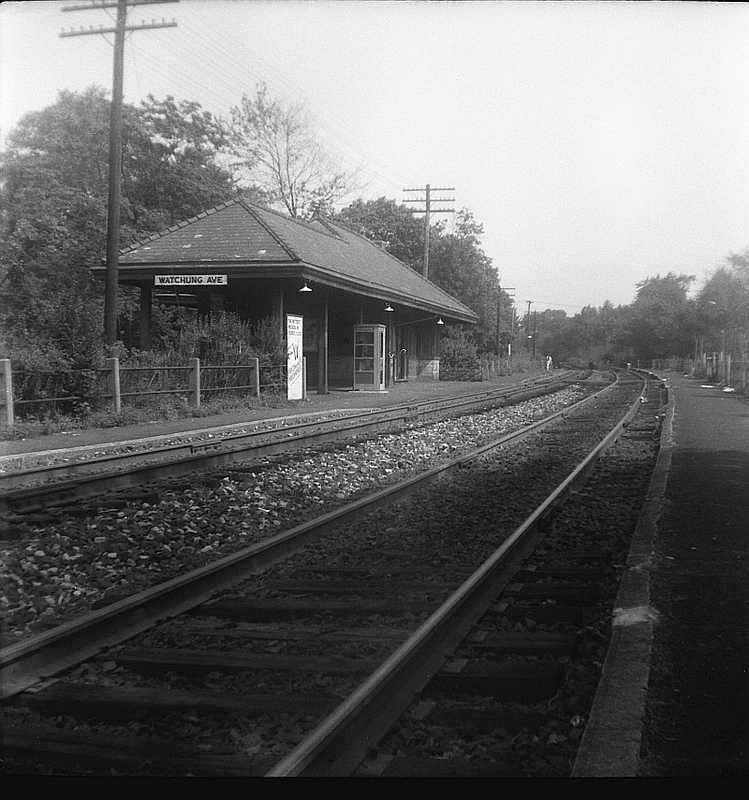 In June 1979, the State of New Jersey began to remove the tracks for the Caldwell Branch, which also lay abandoned at Great Notch. Currently what was the track leading to the Caldwell Branch is a siding. 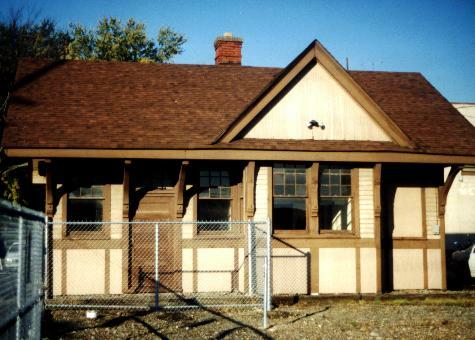 On January 20, 1988, the newly rehabilitated station building was destroyed by fire. 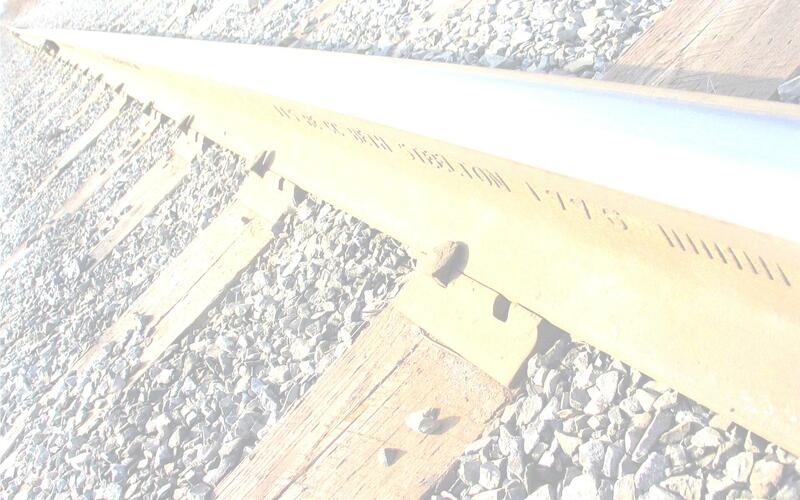 During the construction of the Montclair Connection in 2001, the adjacent Great Notch Yard received a major upgrade, becoming a new state-of-the-art yard with new trains storage facilities. 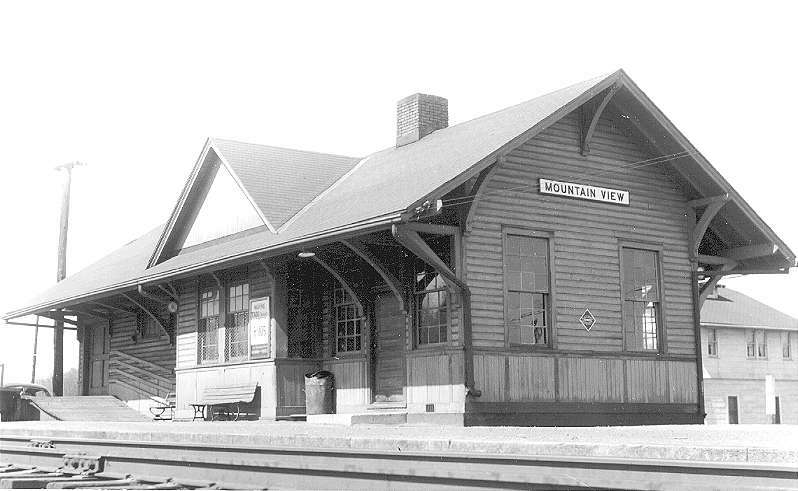 Mountain View Junction was the crossing at grade of the Greenwood Lake Line and the Delaware, Lackawanna & Western's double tracked Boonton Branch. 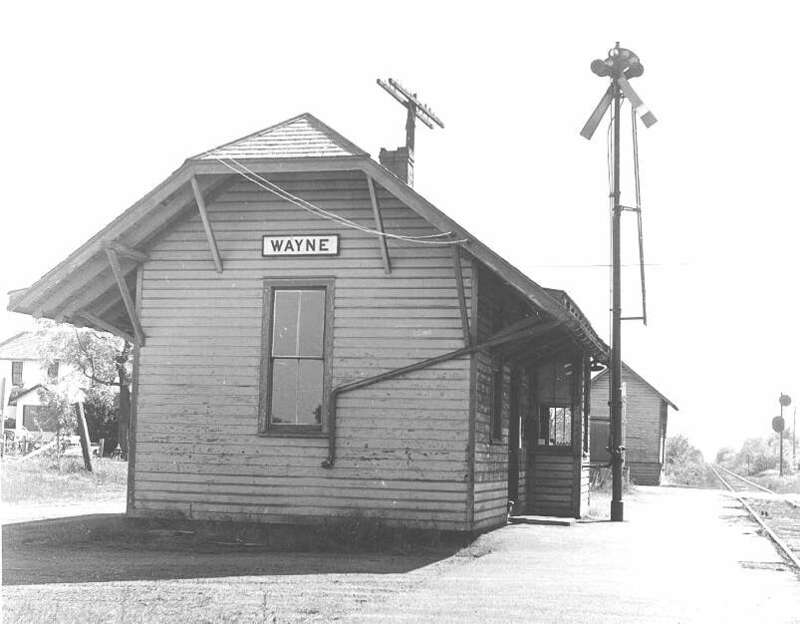 The Wayne Station was located approx 1/2 mile north of the Mt. View station, also in Wayne Twp. This station has been gone since 1970, as is the tracks and the industry, Mack -Wayne Plastics just out of the picture to the right which was also served by the Erie Railroad. Notice the lower quadrant semaphore signal. The automatic block signal to the right, was to control the crossing at grade with the Lackawanna's Boonton Line, 1 mile to the east. 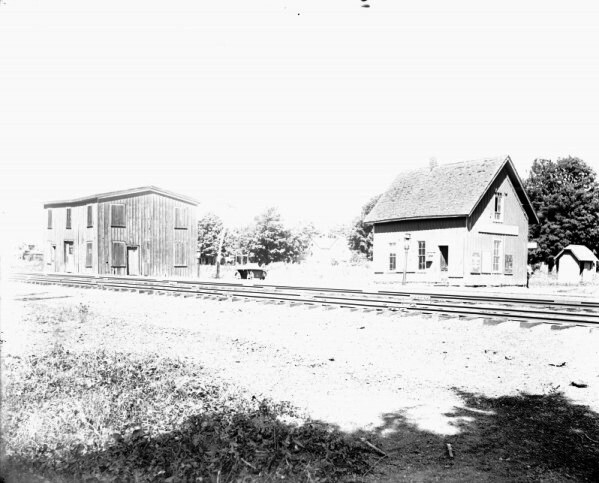 Across Ryerson Avenue (behind the station in the pic) was a freight house/equipment building also owned by the Erie Railroad. The Pequannock Station wasone of 2 stations in Pequannock Twp., the other being Pompton Plains. It was located right off Newark Pompton Turnpike on the north side. The Pompton Plains Station, is located in Pequannock, New Jersey. The station was built in 1872 and added to the National Register of Historic Places on March 5, 2008. James R. Evans was the station agent from the 1870s to turn of the 20th century. Regular passenger train service for the train station ended in 1963, although shuttles from Mountain View remained until 1966. 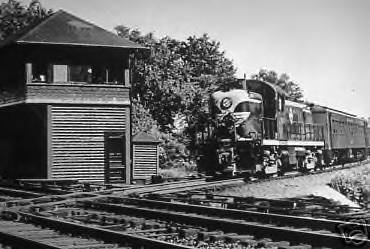 Freight service to the station continued into the 1980s.The station serves as the Pequannock Township Museum and was restored in 2010. >The Pompton/Riverdale Station was located on Hamburg Turnpike in Riverdale, less than a mile south of Pompton Junction where the Erie crossed the Susquehanna at grade. At the time, there was a small setout yard here for freight interchange at Pompton Junction. Here is this station now, it is still standing and is in use by a private business. The tracks now belong to the Susquehanna, and there is a small yard at this location, about where this photo was taken. Notice the cement bench with the ERIE logo on the side. Pompton Junction was the crossing at grade Of The Greenwood Lake Line and New York, Susquehanna & Western Railroad. 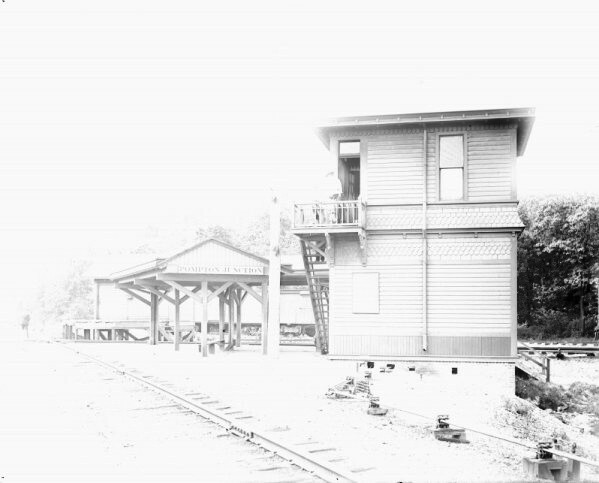 There was a small station, freight house and signal tower here, all operated by the Erie Railroad. There was a small amount of freight interchanged here also. The Pompton Lakes Station located in the Borough of Pompton Lakes just north of Pompton Junction. 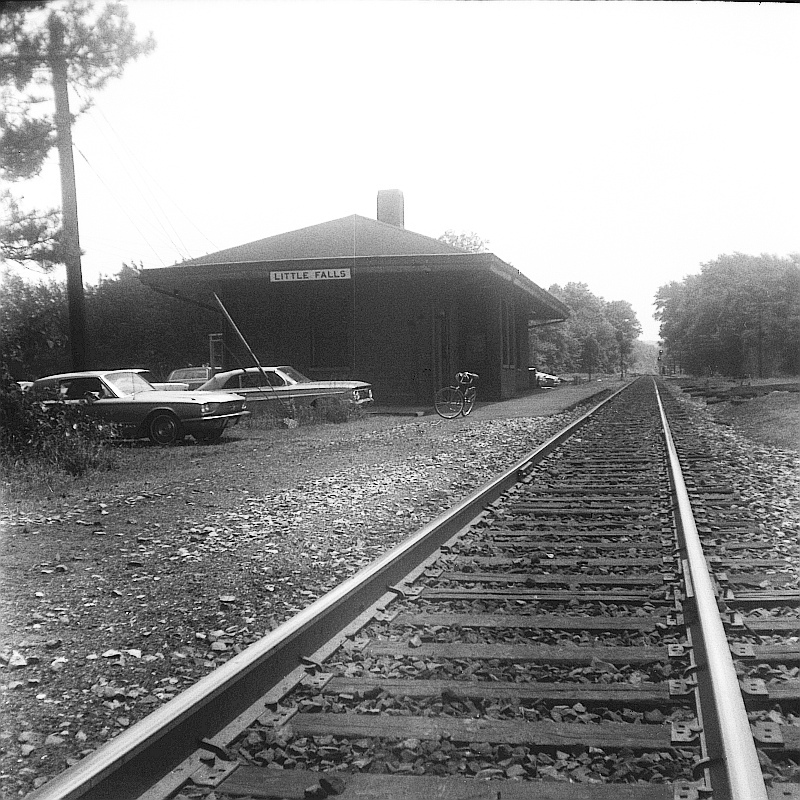 The Haskell Station was located off Doty Road where it intersects with Lakeside Avenue. 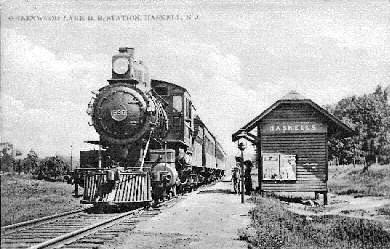 Note that the sign on the station building states "Haskells", a possesive term for the area being named for J. Amory Haskell who headed the Laflin Rand Company (later to become the DuPont Powder Works). The DuPont railroad spur connected to the main line near the Haskell Station. 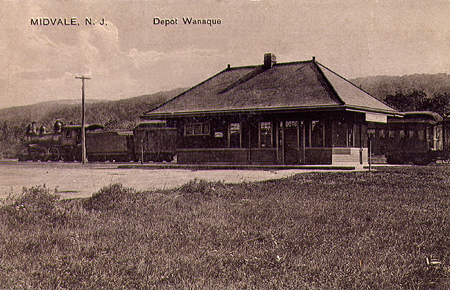 The Wanaque/Midvale Station become the end of the line for passenger service by 1939 with the abandonment of the line north of Ringwood Junction due to reduced service and the fact that Greenwood Lake became accessible by car. The last train to Greenwood Lake ran in 1935. After the 1920's, the iron mines went through cycles of abandonment and rebuilding. This reduced the importance of the Ringwood Branch and the construction of the Wanaque Reservoir insured no other industries would arise to take the place of the iron mines. In steam days there was a turntable and a wye for turning the locomotives and trains when needed. There was also a small layover yard for commuter trains after they were turned. 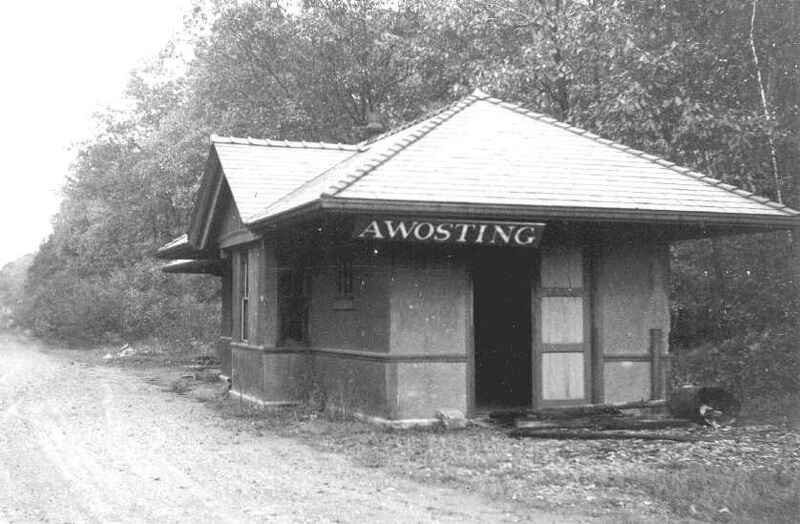 The Awosting Station was one of the station stops along with the Hewitt Station in West Milford Township. The station has been gone since the 1960's and the site is barely able to be identified. 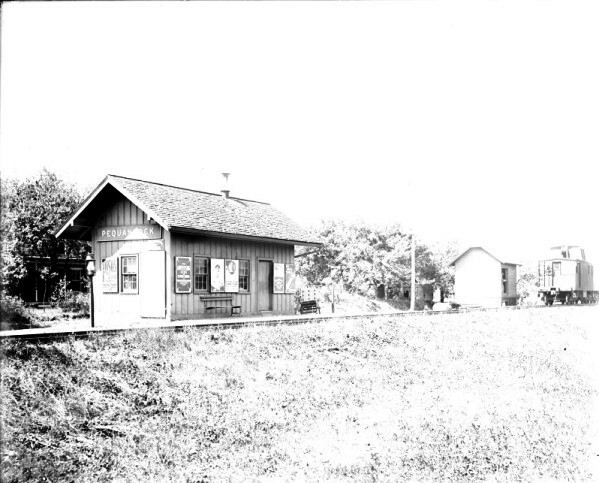 The Stering Forest Station, was the last top on the Greenwood Lake Branch before the line was cut back to Midvale in the early 20th century. It was located in Greenwood Lake, NY and hence the namesake for the line.Greenwood Lake was a popular place for vacationers from the New York City area in the late 1800’s and the early 1900’s. Vacationers came to Greenwood Lake by way of the Erie Railroad and horse and buggy. Once they got to Greenwood Lake, steamboats met them at Sterling Forest. The names of the steamboats were Montclair, Anita, and Arlington. The largest was the Montclair. It could hold 200 passengers The Montclair was a double-decker steamboat with a paddle wheel on the side. When autos became popular, the steamboats and the rails to Greenwood Lake began their decline..